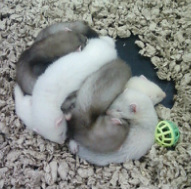 FERRETS FOR SALE - "PROPER FERRETS"
*This years babby kits are ready to leave now. They are handled daily and have fantastically good temperaments. There are various colours polecats+ albinos+silvers+other colours).both hobs and gills available. Mother and father both really well behaved and DONT bite, and they are both good workers but also good pets. Kits ready now (6 weeks old). *We have a veriety of Gills for sale. We have last years stock and two year old stock. 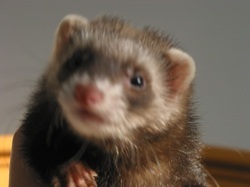 Some of the ferrets have had kits in the past and some haven't been bred yet. They are all from working strain and have been out in the field from a young age. They have been used to living in heards as well as on there own. All very very tame. *We have a selection of quality hobs for sale. They are all very tame and friendly. they loved to be fussed. Their ages start from 6 months upto 12 months old. They are are from working strain but dont let this fool you as they are fantastic family pets as they are like soft huggy bears. As well as this, they are ideal for the show ring as they all are show quality as the polecats have the traditional panda mask. 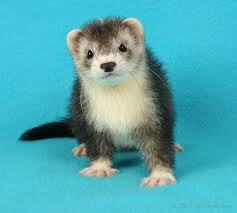 The colours available are Polecats, silvers and Albinos.